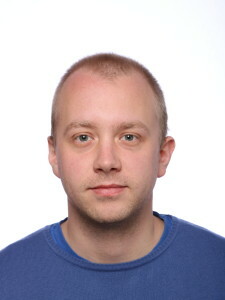 I am PhD student at TUT in Tampere. I was awarded a master in Statistics and actuarial sciences and earlier a bachelor in Statsistics at the Univiersity of Trieste, Italy. Rather than Italian, since my background and cultural heritage I consider myself a “central-european citizen”, open-minded and with a border-free perspective and attitude. This project, beside being exciting and fitting my personal interest in statistics and econometrics and personal goals, represents a fantastic opportunity to live in a challenging and very stimulating environment, where the very different people you meet and talk to can really widen your views and inspire your work. Being part of this project is not only about learning and studying from a strict point of view, but is a long-term investment on yourself, on your person. I dedicate most of my personal time in sport activities, in reading about astronomy, and in looking for cheap flights and good deals for my next travel.